Old factory (Player's/Smurfit) tower that has a preservation order. 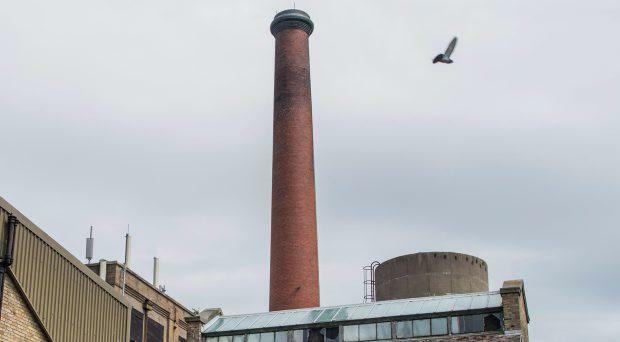 An iconic city chimney stack is set to become a protected structure. The chimney, which was built in 1935 on the north side of Dublin as part of the original Player's tobacco factory, is a popular landmark amongst locals and with tourists. Located on Botanic Road, it seems the 80-year-old chimney will be with us for some time yet. Local councillors in the Glasnevin area have approved the proposal and it is expected to be passed at next month's full meeting of Dublin City Council. Chairman of the Iona and District Residents Association Cormac McKay spoke to the Herald about the importance of protecting the chimney stack. "It has such a history here; it's a part of the area now. It shouldn't be removed. "It was important to our older residents in the area, of whom we have many, they really wanted to make sure it was kept," Mr McKay said. He compared the chimney stack on Botanic Road to those across Dublin that have now been listed as protected. "Look at the chimney in Chimney Park down in the Docklands and the one in Smithfield, we feel this is the same as those protected chimneys down there. That was a very significant move for each of their communities. They kept theirs and we really wanted to keep ours," he added. Recognising the changing times, Mr McKay said he hoped in the future the Player's factory chimney stack would represent what humans did in the 20th century in relation to fuel and power. "It's monumental, and hopefully we can turn to renewable energies with wind and solar." Independent TD for Dublin North West, Róisín Shortall told the Herald, she was "delighted" the application had reached its final stage of review at the council. "It's important because of its association with Dublin people," she added. She said those in the local area were concerned about the future of the chimney. "It had been raised with me especially in light of a recent planning application. Locals wanted it safeguarded. "I'm very pleased that the process is progressing well and it looks like the council is going to give it the status in the next few weeks," Ms Shortall said. She said it was "important to retain the existing landmarks in the area where they are particularly attractive and have resonance with local people." The factory building itself has already been listed as protected and now the entire building cannot be demolished or altered in any way without prior council approval.